Civil society has sharply stepped up its campaign on the “constitutional right to dissent” amidst Umar Khalid, 28-year-old PhD student of the Jawaharlal Nehru University (JNU) reappearing on the campus along with his colleagues Anirban Bhattacharya, Rama Naga, Ashutosh Kumar and Anant Prakash. More than 200 senior civil society activists have joined India's senior academics in writing a letter to the President of India expressing their “shock and concern” at the alarming increase in reports from several academic institutions in India of high-handed behaviour on the part of the authorities against dissent (click HERE for the letter and list of signatories). The National Alliance of People’s Movements (NAPM), the apex body of large number of mass organizations, has declared that it would join left-wing political parties to hold a massive rally on February 24 at Parliament Street on the "constitutional right to protest, in which “thousands of farmers, workers, fisher folks, and adivasis with participate. 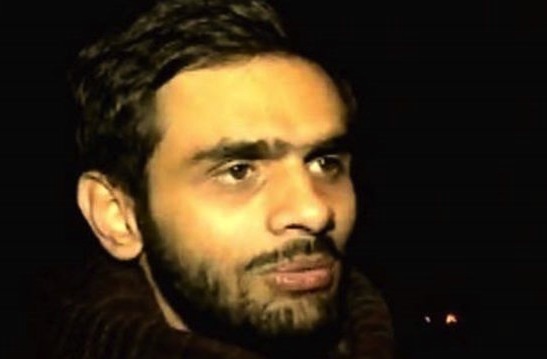 Khalid appearing on the campus, declared was “not a terrorist”, even as Delhi Police waited outside the campus to nab him for charges of sedition. He told a gathering on the campus, efforts were being made to call him a Jaish-e-Mohamed activist, with false stories floating around that he had been to Pakistan twice, that he was a mastermind, and that he had made calls to Gulf and to Kashmir. “Any serious academic institution will fail in its endeavour to nurture informed citizenship if it is not a place for dialogue, debate and dissent”, the letter said. Those in the civil society who are likely to join the rally in Delhi on February 24 include, apart from NAPM, are Bhumi Adhikar Andolan, which has been fighting against the efforts by the government to come up with pro-industry amendments in the Land Acquisition Act, the All India Union of Forest Working People, the All India Agricultural Workers Union, and CPI-M’s farmers’ wing All-India Kisan Sabha. All this reminds me of Nazi Germany.